3) Pay by credit card or Paypal by clicking the button below. A secure window will then open and allow you to choose to pay with a credit card or a PayPal account. (i) Enter your course payment amount in the field on the left hand side (taxes will be added automatically at the end of your transaction). (ii) Complete the payment form. (iii) A receipt will be emailed to you directly upon the submission of the payment. LESS THAN THE REST, WE’LL MATCH IT. Present us with the offer you have seen elsewhere in Canada. Our Admissions Department will confirm it and…. Once we have confirmed that the courses are of a similar standard, we’ll refund you the difference. The competitor’s TEFL/TESOL Course tuition must be in CDN dollars. The competitor’s TEFL/TESOL Course must be an in-class course (no online courses will be considered for the “Price Match Guarantee”), and must match our course components, hours and schedule. The item must be “like for like”- this means that it is a directly comparable course with the same features. If you are unsure how other courses compare to the Canadian College of Linguistics Course, please call us at 1-604-983-2664 to discuss. The price comparison does not include local sales tax where applicable. The price match guarantee is only valid for 7 days from purchase of your course. Due to their nature, auction websites like eBay and marketplaces like Amazon, Group On etc. are excluded. 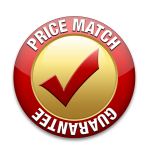 Our price match guarantee cannot be used in conjunction with any competitor discount codes, promotions or clearance offers. No refunds will be given for the Cambridge ESL or Pronunciation Classes, or TEFL/TESOL Classes. If you cannot attend your scheduled course on the start date, we will hold your tuition payment and transfer your course registration to one of our scheduled classes within a 3 month period.